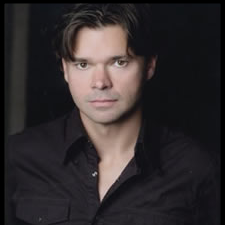 Hunter Foster is an Artistic Associate at the Bucks County Playhouse where he has directed: Clue: On Stage (World Premiere), Guys and Dolls, Company, Ain’t Misbehavin’, The Buddy Holly Story (2016 and 2017), National Pastime, The Rocky Horror Show (2013, 2014, 2016 and 2017), Summer of ’42, and It’s a Wonderful Life. Other directing credits include: The Foreigner, Cabaret, My Fair Lady (Cape Playhouse), Grease (North Carolina Theatre), Spamalot (Casa Manana); and has directed productions of the Million Dollar Quartet for the Paper Mill Playhouse, Geva Theatre, Ogunquit Playhouse, Gateway Playhouse and the Westchester Broadway Theatre. He has also directed the NYC workshops of the upcoming new musicals, Far From the Madding Crowd and One Hit Wonder, which will make it’s world premiere at the University of Michigan in the fall of 2017. As a writer, he co-wrote the stage adaptation of the movie, Clue, and has written the books to two off-broadway musicals: Jasper in Deadland — which had its world premiere at the Prospect Theater Company in NYC, followed by a successful run at the Fifth Avenue Theatre in Seattle — and Summer of ’42 which opened at the Variety Arts Theatre in New York City, and was nominated for an Outer Critic Award for best new Off-Broadway musical. Other recent book writing credits include The Circus in Winter (Goodspeed Musicals), Clyde and Bonnie: A Folktale (New York Musical Theatre Festival, Aurora Theatre), The Hollow (Signature Theatre) and Blue Ridge Sky. As an actor, he has appeared on Broadway in The Bridges of Madison County, Hands on a Hardbody, Million Dollar Quartet, The Producers, Little Shop of Horrors(Tony nomination), Urinetown, Les Miserables, Footloose, Grease and King David. Hunter is a graduate of the University of Michigan (BFA in Musical Theatre).